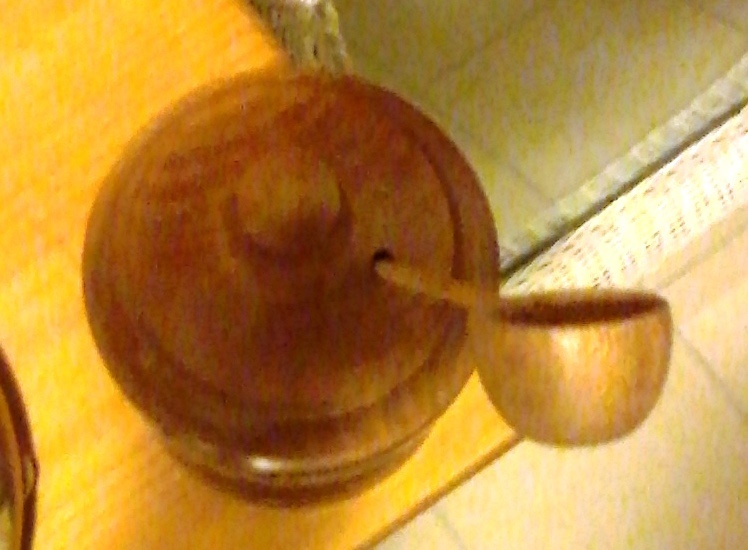 I picked this up at a thrift store, as I tend to gravitate towards the wood items. 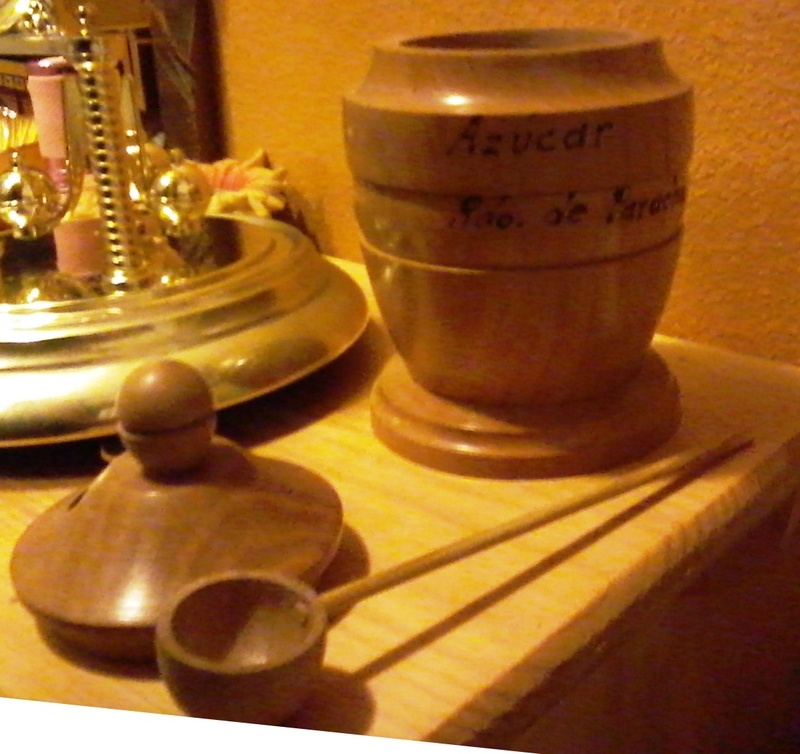 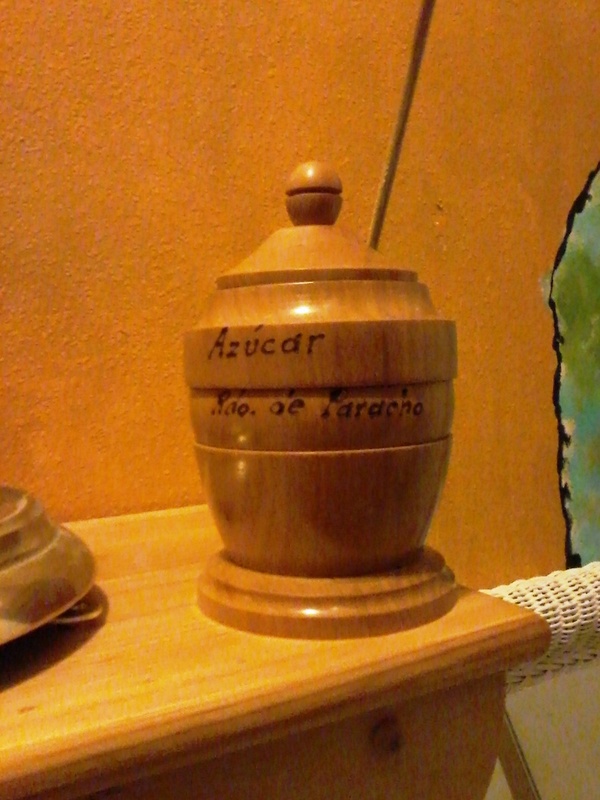 I googled the writing, and I believe it is a wooden sugar bowl. Can anyone corroborate?